M/Y BLUE ICE MUST BE SOLD A FURTHER 1,000,000 € PRICE REDUCTION. With her very unique sportive design, amazing M/Y Blue Ice offers 5 luxurious cabins for up to 12 guests, including a large (full beam) Master suite with a "his and hers" bathroom. 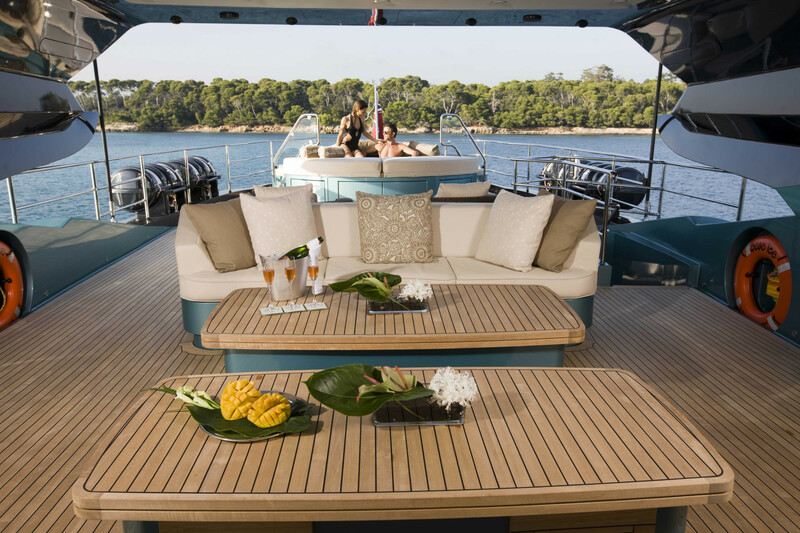 M/Y Blue Ice has very spacious deck areas with many sunbeds and a cosy sundeck with a lounge and equipped with a Jaccuzi. Her Zero Speed Stabilizers guarantee the best comfort anywhere on board, whether cruising or at anchor. Superyacht Blue Ice is a 46m Palmer Johnson (150ft) designed by famous Nuvolari & Lenard and built in full aluminium and with a unique "Blue Ice" colour paint. Her interior decoration is sober, warm and cosy. Equipped with 2 X MTU 4000 M90, she can reach 28 Knots at top speed and cruises at 22 Knots. She has a spacious and beautiful salon with adjoining dining room and bar. She offers a total of 3 dining areas for 8 to 12 guests and she also has a Gym room with elliptical trainer and treadmil. All cabins, salons and exterieur decks are equipped with full AV system including a total of 10 very large TV screens.